Mark Bolas is a research scientist, artist, and designer exploring perception, agency, and intelligence. His work focuses on creating virtual environments and transducers that fully engage one’s perception and cognition, and create a visceral memory of the experience. Amongst his courses at the undergraduate and graduate level are the design for interactive media and the business of interactive media. Bolas’ 1988-89 thesis work “Design and Virtual Environments” was among the first efforts to map the breadth of virtual reality as a new medium. 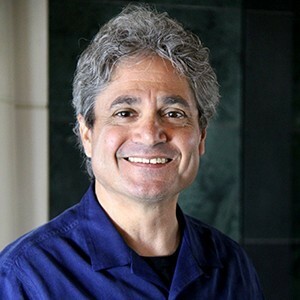 He has been a professor at Stanford University and KEIO University and is chairman of Fakespace Labs in Mountain View, California, which he co-founded in 1989 with Ian McDowall and Eric Lorimer to build instrumentation for research labs to explore virtual reality and grow the emerging field.